Congratulations! November 19th, 2010 Netbeans team announced that NetBeans IDE 7.0 Beta is available for downloads. 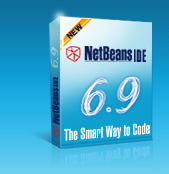 The final release of NetBeans IDE 7.0 is planned for March 2011. NetBeans IDE 7.0 Beta is available in English, Brazilian Portuguese, Japanese, and Simplified Chinese, as well as in several community-translated languages. NetBeans Platform with version 7.0 got general performance enhancements (less intrusive checking for external changes when switching between the IDE and other programs) and tight integration with Profiler. New features useful for PHP developers are: HTML5 editing support, JSON formatter, Generate PhpDoc, Rename refactoring, Safe Delete Refactoring, PHP 5.3 – Support for aliases. 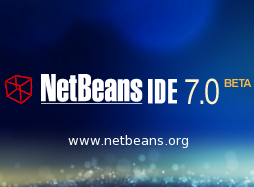 Read more details about NetBeans IDE 7.0 for PHP enhancements at this page. What important thing should you know before install NetBeans IDE 7.0 Beta on your desktop? October 7th, 2010 the NetBeans Team informed community of changes to the NetBeans roadmap. Next release, NetBeans 6.10, was renamed to NetBeans 7.0. The reason – the change allows the NetBeans IDE versioning to be more clearly aligned with the Java platform. In March 2011, NetBeans 7.0 will provide support for JDK 7 language features and JDK 7 Beta. When JDK 7 production is released a patch release of NetBeans 7.0 should provide support for this final version. 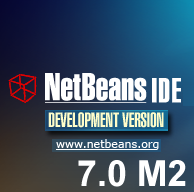 Development version Netbeans 7.0 Milestone 2 is available for download from Download NetBeans IDE 7.0 Milestone 2. What are the differences between 6th and 7th releases for PHP web developer? New things include Platform (less intrusive checking for external changes when switching between the IDE and other programs), Editor (word wrap, show invisible characters, HTML 5 support features) and PHP support (generate PhpDoc, rename refactoring, safe delete refactoring) changes. NetBeans 6.9 for PHP is available for download. NetBeans IDE runs on Windows, Linux, Mac OS X and Solaris. It is open-source and free. See what is new and cool in the latest NetBeans 6.9 release. The NetBeans IDE is an integrated development environment for software developers. It provides the tools you need to create professional desktop, enterprise, web, and mobile applications with the most of modern programming languages, including of course PHP. Some new features added to NetBeans 2.9 were described at NetBeans IDE for PHP 6.9 beta. Now we have 6.9 Release Candidate 1. I switched from 6.8 to 6.9 beta at the end of April, 2010 and didn’t meet any bugs. It is fast, convenient and comprehensive IDE for the most PHP developement tasks. May 3rd, 2010 NetBeans.org announced NetBeans IDE version 6.9 beta availability. I use NetBeans IDE for PHP developement about 2 years. 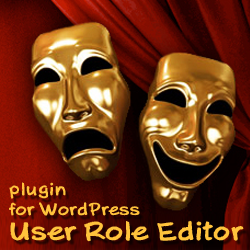 It is robust, comprehensive and very convenient IDE with PHP support. Main features of NetBeans IDE for PHP were described in NetBeans for PHP development post. What’s new in the 6.9 version? ShinePHP forum is installed. It is ready to accept new members. Registration procedure is very easy. Thanks to bbPress. Just register, get your password by email and make your posts in a minute. 2.8.6 fixes two security problems that can be exploited by registered, logged in users who have posting privileges. If you have untrusted authors on your blog, upgrading to 2.8.6 is recommended. The first problem is an XSS vulnerability in Press This. The second problem is an issue with sanitizing uploaded file names that can be exploited in certain Apache configurations. Is it interesting for you what changes were made in terms of PHP source code? 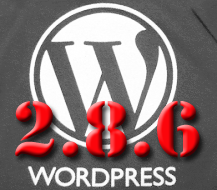 Let’s try to discover WordPress 2.8.6 Security Release details together.